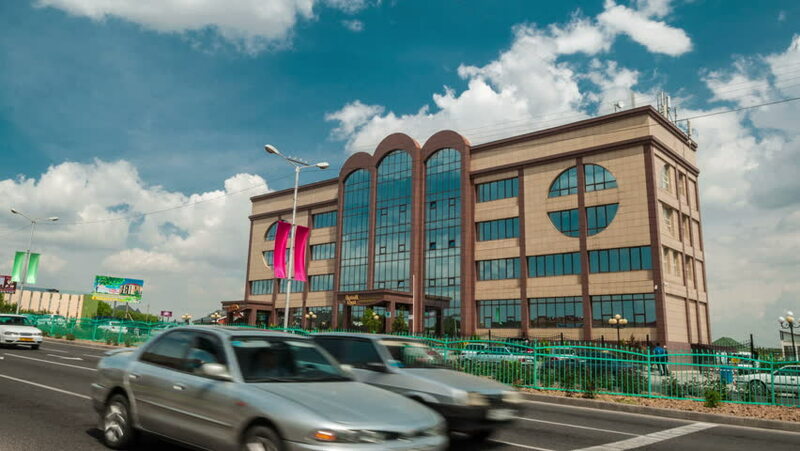 Shymkent, Kazakhstan - 10 july 2014: The camera moves around the business building. 4K TimeLapse. hd00:14LOS ANGELES, CA: March 13, 2014- Wide shot from a car driving by Raleigh Studios on Melrose Avenue circa 2014 in Los Angeles. View of the oldest film studio in LA near Paramount Studios. 4k00:51MYRTLE BEACH, SC - APRIL 2018: Time lapse of road traffic along city street at sunset. View from a moving car.